Wind. Tree limbs. Heavy rain. Hail. You love life here in Texas, but our storms can wreak problems on your roof. When a big storm hits your area, scammers do too, along with out-of-town roofers who may be legit, but also have less experience with the challenges roofs face in Texas. They also probably won’t be around when the roof is five years older and needs some repairs. But, it’s also a fact that local, reputable roofing contractors can have their schedules completely filled up. Whatever the reason is that you need a new roof, the process of getting it replaced or installed might seem like its overwhelming. Here is some basic advice for hiring the right roofing contractor for your job. If an unsolicited salesperson calls on you, don’t let them into your home or up on your roof. Ask that they leave you printed information and make an appointment so that you can do some due diligence on them. If you think they are scammers, record their vehicle’s license plate number and give it to local authorities. If they offer an unrealistic deal on your deductible or they use any type of high pressure tactics on you to try to get you to make a decision to decide now or to sign anything, just say no. 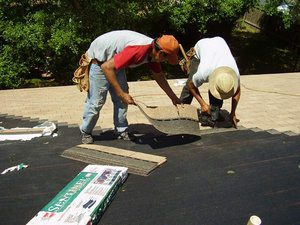 Reputable roofing contractors should be willing to supply you with the following information. Pass on anyone who can’t or won’t. A permanent place of business, telephone number and tax identification number. Liability and workers’ comp insurance certificates. Ask to see them. Make note of the coverage end dates to make sure their policies will be in effect through the duration of your project. Membership in the National Roofing Contractors Association or the Better Business Bureau. While these aren’t required, solid, competent roofing companies will usually be a member of at least one of these two organizations. References – get name and phone numbers of customers where the roofing contractor performed work at least a year ago. You’ll call these references later, but at this stage of the process, you can eliminate companies who don’t have them. If your property is ready for a new roof, be careful, because some roofers deserve the bad reputation much of the industry has. As with hiring anyone for a large project, make sure to get referrals from other property owners or tradespeople you trust, and check the company’s references and licensing credentials. Is there a roof currently being installed by their crew that will be similar to what they’re doing on your roof? No matter how smooth the salesperson is, it’s the work of the crew that matters. This gives you a chance to evaluate their workmanship and how they set up and maintain a job site. It probably means the company rep is going to assign you one of their better crews, because they are the ones that are going to best sell you on hiring their company. What exactly will they be replacing? If you have a couple layers or more of existing roofing, building codes will probably require require you to tear them off before installing your new roof. This will add to the mess and expense, no matter who you hire to do the job. Some roofers might try to cut corners by not replacing the flashing. Unless it’s a thick material with a lot more life in it, now is the best time to replace it. The contract should be specific about what material they are going to be using. Also, the roofing contractor, if you have a tile roof, should specify what exactly is going to be done about the underlayment, and if being replaced, exactly what type of materials will be used to replace it. How will you the job site be left at the end of each day? The best practice is when the roofer removes only as much as they can re-roof that same day, which reduces the chance that your property is left open to the elements until the next day. At the end of the day, the crew members should tarp any open roof areas and clean up any stripped shingle – including running a large magnet over the lawn and landscaping to make sure they pick up stray nails before leaving the job site. It would be a good idea to make sure these procedures are written into the contract. Will their insurance company provide confirmation of their workman’s compensation and liability coverages? It’s not enough for the roofing contractor to just tell you that they have the proper insurance, or even to just show you a form letter. You need to get a document from their insurance company, addressed to you, and there’s nothing at all offensive about asking for one. In fact, its a big red flag if the contractor seems offended or hesitates to provide you this info if you ask. After all, if one of the crew members falls off the roof and they aren’t properly insured, the injured crew member could sue you for medical costs and lost wages because they won’t be covered by the employer. What sort of workmanship warranty do you provide? Manufacturer warranties usually do not include labor because that’s up to the individual contractor. One or two years should be standard, and having it in writing, even as a simple clause in the contract, is obviously preferable. To get all your questions answered and have a free consultation and estimate from one of the Austin area’s top roofing contractors, give Armadillo Roofing & Exteriors a call at (512) 333-7663. 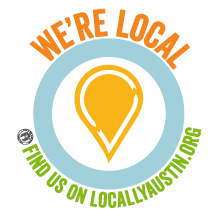 At Armadillo Roofing - we provide quality commercial roof repair, commercial roof installation, metal roof restoration and residential roof installation services for Austin, Texas and the surrounding area. 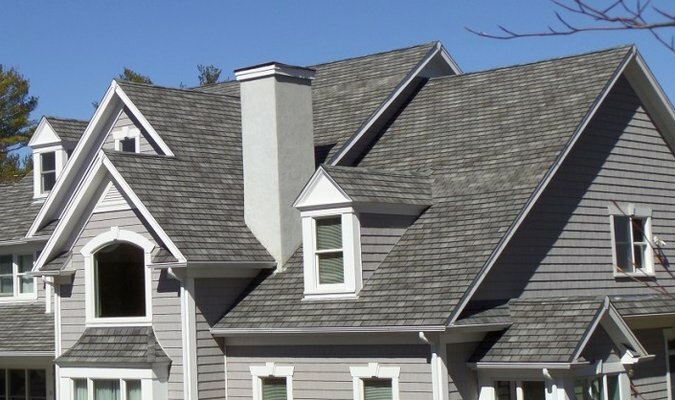 Armadillo Roofing is online and connected to our customers. Please engage with us at any of our social media sites below. Copyright 2017 Armadillo Roofing & Exteriors. All rights reserved.